IMPORTANT MEETING ABOUT THE FUTURE OF OUR PARISH! Feed back the diocese’s observations of our parish (based upon our response to the FTIH questionnaire). Set out the next stages we have been asked to follow as we write our plan for working more closely with our local parishes. This Partnership Plan must be completed by mid November. 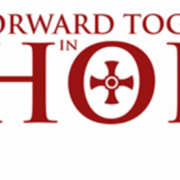 This is OUR chance to put forward our ideas of how to ensure that the Catholic community in Darlington area can continue, and grow, despite the fall in numbers of priests and active parishioners. Please try to attend. Many thanks Julie Humphrey FTIH lay representative.